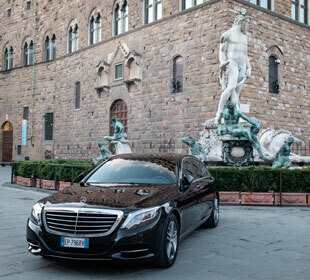 Book your car hire with driver service in Florence, Coave will provide the finest luxury cars at your disposal, all equipped with the most innovative and modern optional, so that any transfer will turn into a small trip to Tuscany, a tour. On board you will find professional English speaking drivers, excellent guides for your trips. Choose the vehicle that you feel will best suit your needs, basing, for example, on distance, number of travelers or the amount of luggage. 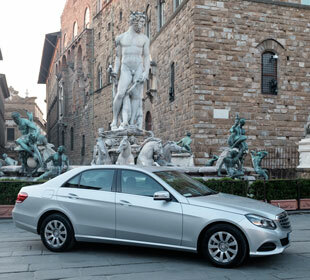 We offer car hire with driver in Florence, in the whole territory of Tuscany and any destination in Italy, with punctuality and professionalism. We can design tailored performances to the customer’s desires. Browse through the following pages and refer to the characteristics of different mode of transportation, from the Mercedes E-class to the S, to vehicles suited to groups, as the Van and Minivan. 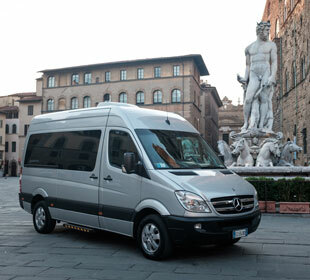 Please contact us for specific requests (you can ask for your wishes also to desk at the airport in Florence), such as for weddings in Tuscany (Florence or other cities): our mission is to move people in the most comfortable way possible. Live a dreamlike experience and travel while relaxing. We'll do the rest. 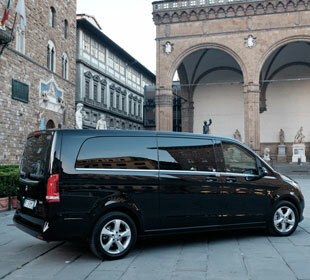 Florence half day tour with your driver.